Click the button below to add the AWMC3-SXV All Weather Bluetooth Source Unit for Marine, ORV, ATV, UTV etc. 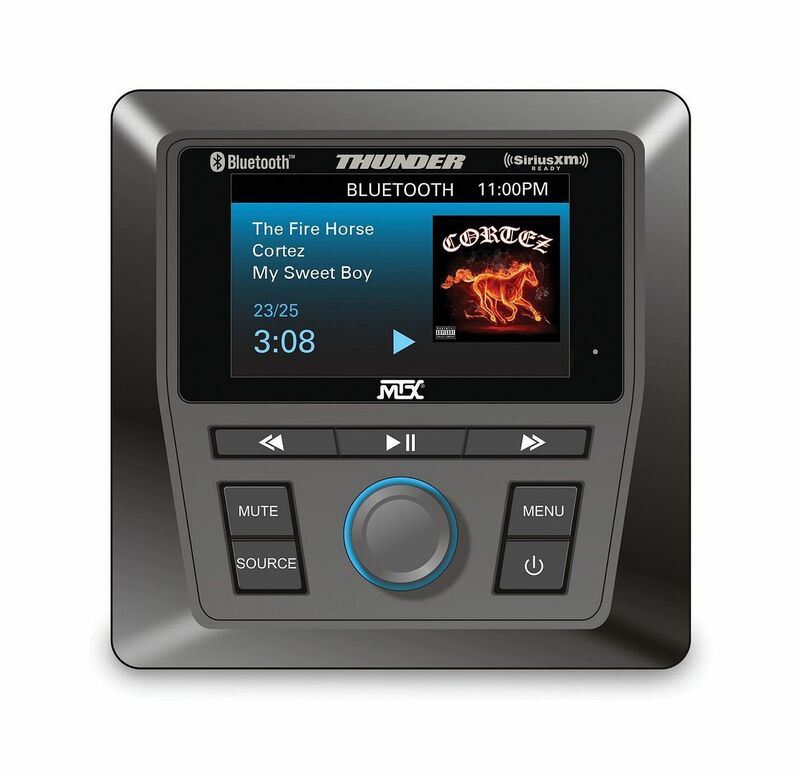 by MTX, SiriusXM Tuner INCLUDED to your wish list. 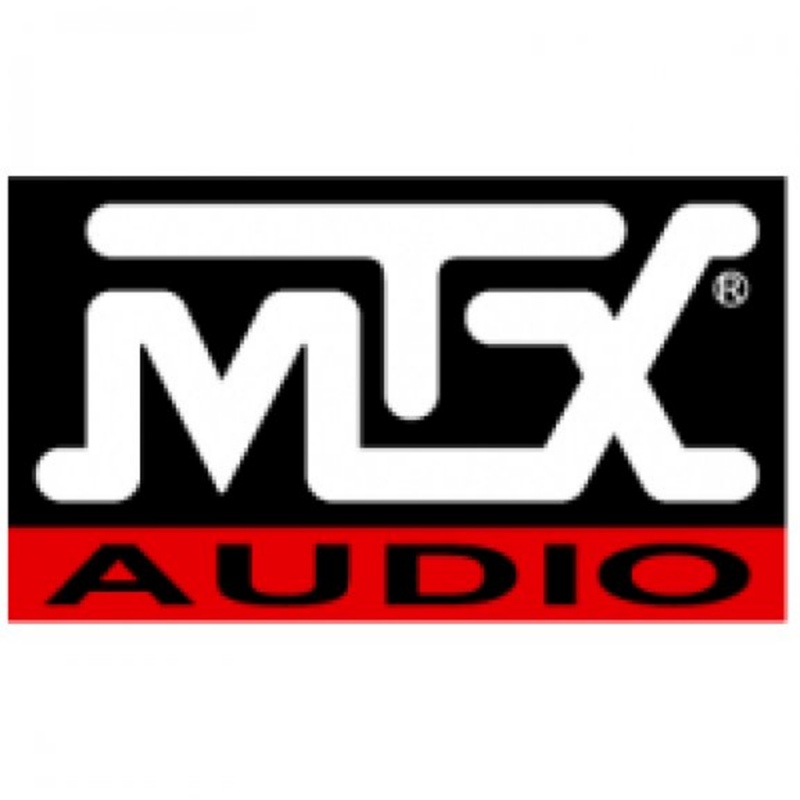 The MTX Audio AWMC3 is designed to work with most Bluetooth® enabled devices including iPhone® and Android® smartphones and tablets. This easy to install and use head unit is capable of transforming your Bluetooth® enabled mobile device into the center of your boat or UTV’s audio system. The unit features a 3" full color TFT display with auto dimming feature making it readable in any light. The large soft touch buttons are easy to use even if wearing gloves. A full range four-channel amplifier is integrated allowing for direct connection of up to four full range speakers. The amplifier includes two preouts, one for the front channels and one for the rear channels allowing for connection to external amplifiers like the MTX MUD100.2 and MUD100.4 for even great power output. Along with the Bluetooth input, the AWMC3 also includes an AM/FM/WB tuner, an auxiliary input, and an input for a SiriusXM® satellite radio tuner (tuner included) as well as a USB charging cable. The unit is certified to IP66 weather resistant making it the perfect choice for boats, side-by-sides, or any other vehicle you use to play outdoors. SiriusXM Tuner w Magnetic Antenna INCLUDED! AVITAL 820021 C Remote Transmitter Case 820021C NEW!